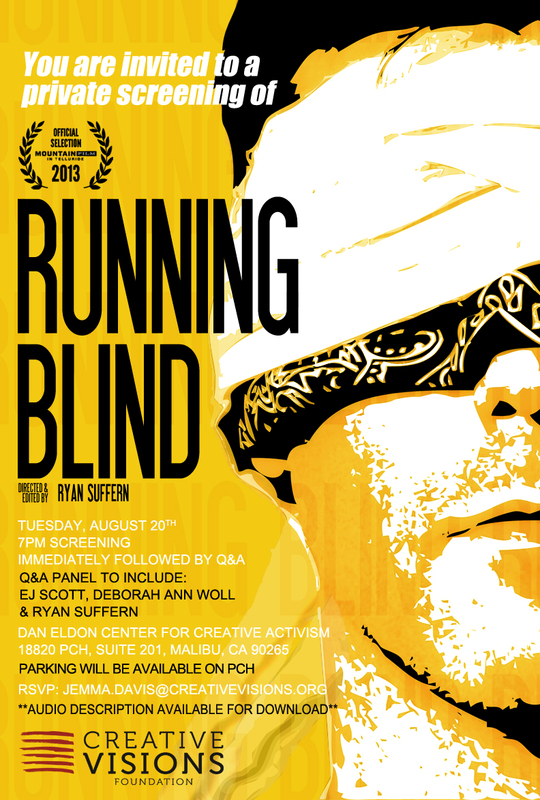 Ryan Suffern’s documetary, “Running Blind,” which is about EJ Scott’s running of 12 marathons in 2012, will be screened in Malibu, CA at the Dan Eldon Center for Creative Activism on August 20, at 7pm. 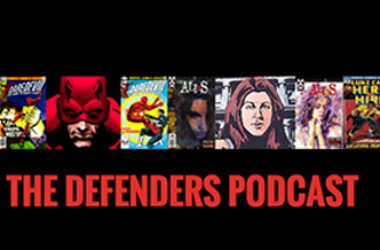 There will be a Q&A immediately following the film with Ryan Suffern, EJ Scott and Deborah Ann Woll. Ryan Suffern directed and edited the film and it was produced by Deborah Ann Woll and of course, it stars EJ Scott. Below is the poster for the event. Running Blind Comes to Hollywood this Sunday!